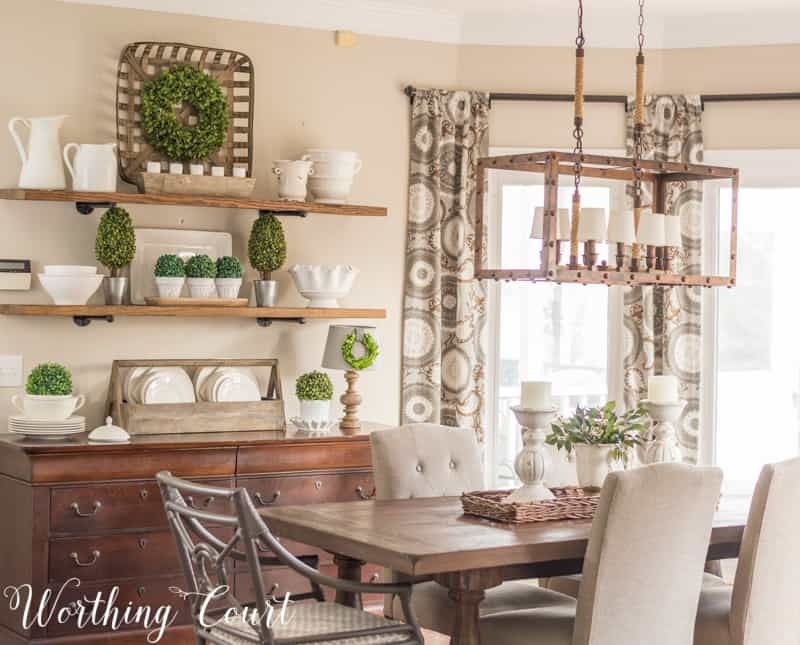 When it comes to versatility, white room accessories are the ultimate in home decor accents. 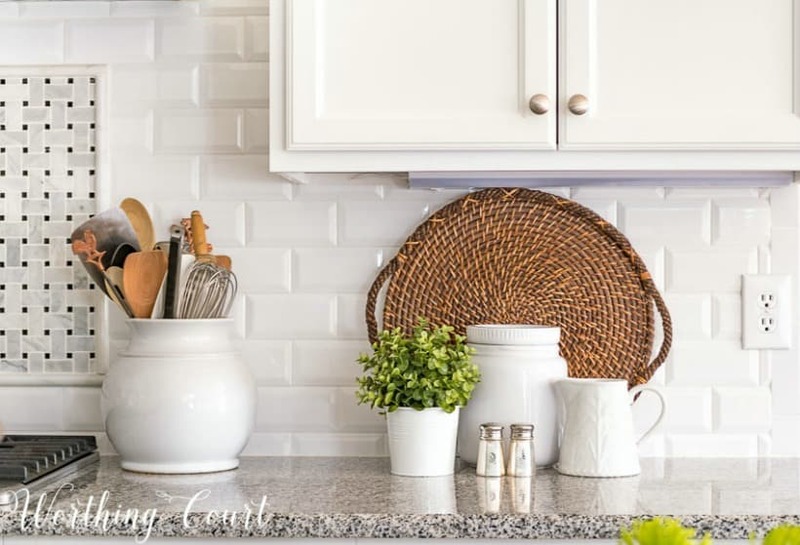 Here are six reasons why including white in your home decor will make your home look amazing. When I’m shopping for new room accessories at the store, I’m usually looking for something to fit a specific space or something that coincides with my mood board for a room. However, there is one thing I’m always on the lookout for and that is white accents of all sizes, shapes and materials. It wasn’t until within the past couple of years that I really began to embrace the idea of mixing white pieces in with the rest of my home decor. I had always considered it a non-color that stood out and really didn’t work well when mixed with other colors. Well, I’ve done a complete about-face on that notion and have come to realize that mixing white with anything just flat out works and here are the reasons why. The centerpiece on the dining room table at our beach condo is a perfect example of how strategically using white accents will draw your eye and add a pop of brightness in an otherwise dark space. 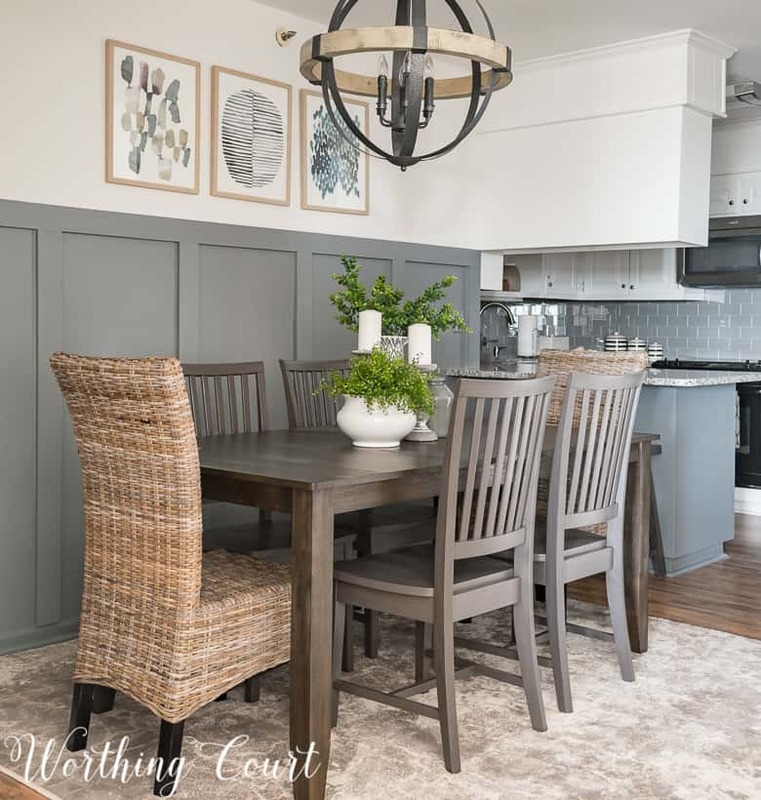 The dark wood table is surrounded by gray – a gray board and batten wall, gray chairs, gray kitchen peninsula and even the gray backsplash in the kitchen. Any centerpiece that didn’t incorporate some white in it would have gotten lost in the room and your eye would have just skimmed over the table. By the way, you can see a video I made of the entire dining room, kitchen and living room HERE. When I’m putting together a vignette, like this one in my dining room, including white room accessories works wonders. 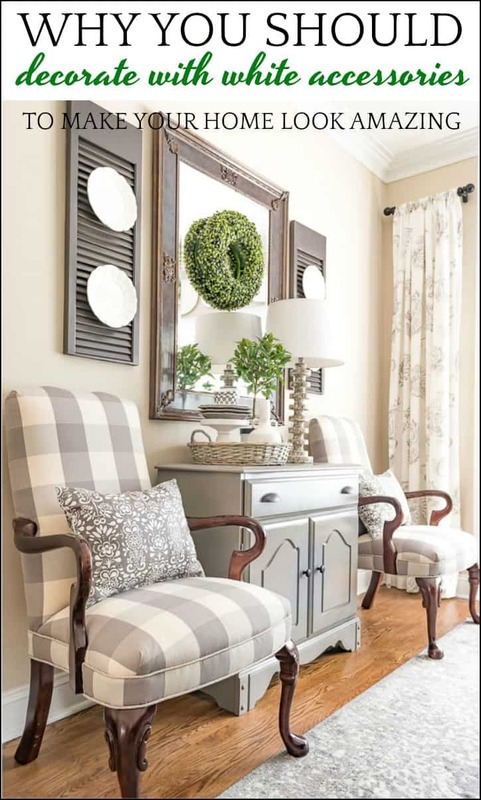 In this example, the white accessories provide a place for your eye to rest in an otherwise colorful and potentially busy vignette. Whether it’s the white of the chunky candlesticks, the candles themselves, the lamp base, the vases or the plates, I love how each of these pieces can be combined with all of the other colors without fighting one another and without seeming out of place. An added bonus is that when I’m ready to change things up for fall, I can simply switch the hydrangeas out for autumn leaves. Add a couple of other fall’ish accessories and I’m done. K-I-S-S decorating at it’s finest (curious? read about what that means HERE)! Have you ever stopped to think that what you use to decorate with around your home can make your spaces look dirty versus clean? I think that’s totally true! Imagine how many homes you’ve walked into where all of the decor is dark. The space might actually be clean as a whistle, but it likely didn’t give off the feeling of being clean. There’s no doubt about it – we all associate white with cleanliness – right? One of the places in my home that I definitely want to give off a clean vibe in is my kitchen. I may add a little color when I change things up seasonally, but by using white to hold my everyday essentials (like cooking utensils and those all important dog treats), I can have confidence that the white accessories will enhance the look of cleanliness and won’t clash with whatever seasonal color I’m decorating with at the moment. White and greenery are like peanut butter and jelly. They are just soooo good together! 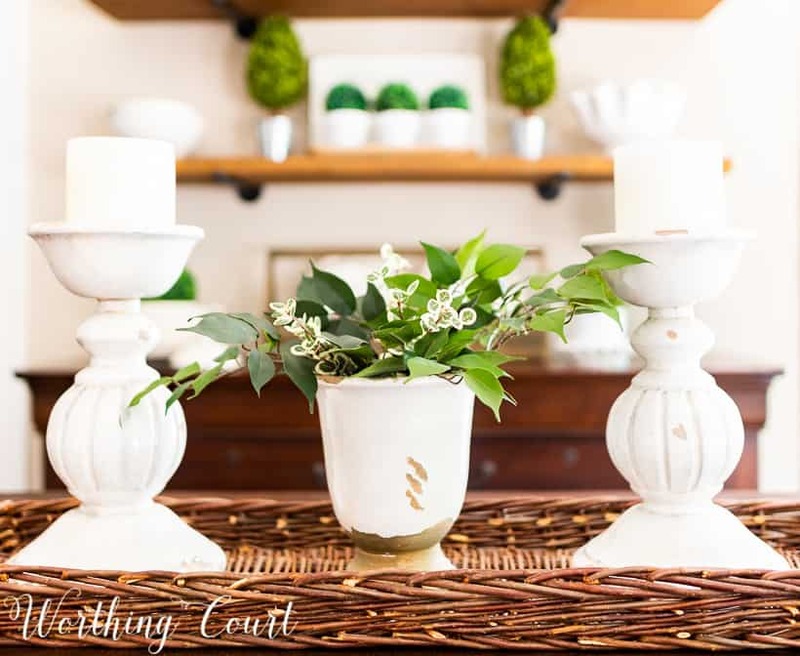 Ever notice how when you put greenery in a white vase or planter, the containers seem to be brighter? And that the addition of greenery, even if it’s fake, adds life to a room? 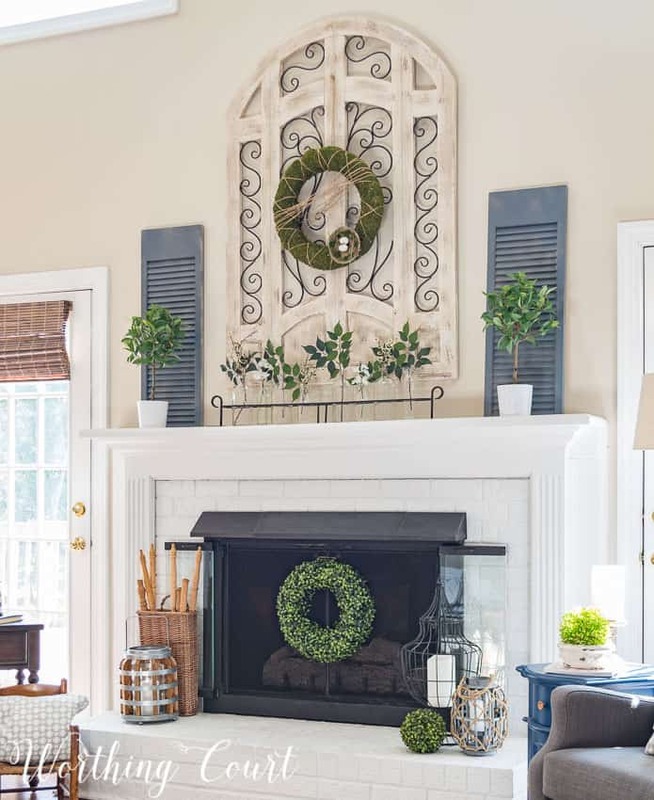 When recently decorating my fireplace for spring, I was celebrating the return of all things green outside. I’m always so excited when leaves begin showing up on the trees after a long and dreary winter and wanted to make that the focal point of the whole fireplace display. So – moral of the story, if you really want your greenery to be more noticeable, place it in white containers. In addition to wanting our guest bedroom to be cozy and inviting, I also want it to feel bright and airy. As its makeover nears completion, I’ve been styling different areas of the room and have been looking for opportunities to add room accessories in white all around the room. 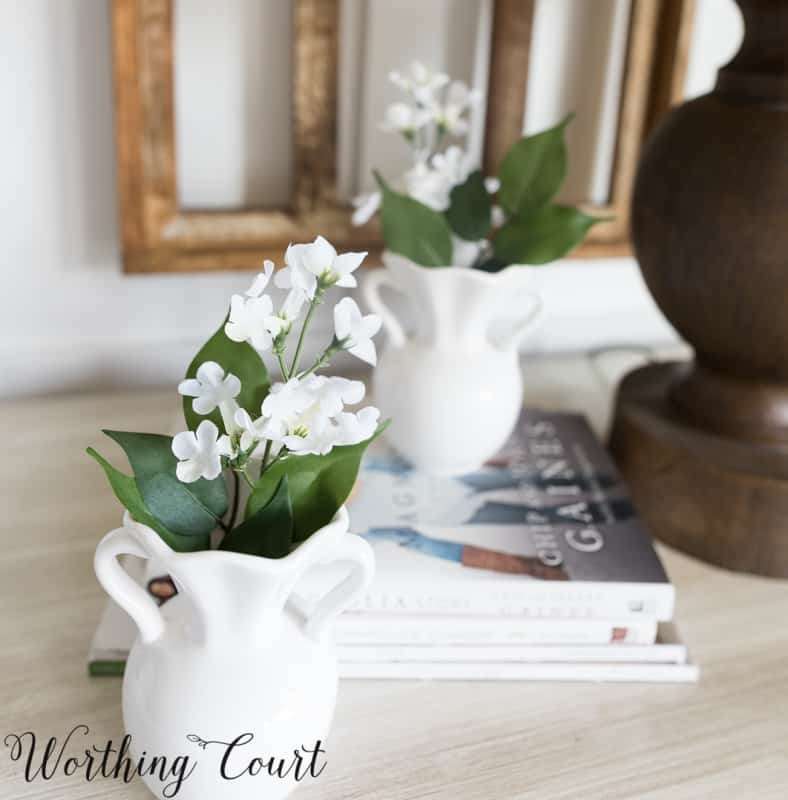 These small vases with sweet flowers sprigs are located on one nightstand, a bundle of white roses on the other and a vase filled with white florals is on the dresser. If you’re going for a light and airy look in a room, you don’t have to have white walls or all-white everything. You can achieve that look by simply being generous with white room accessories sprinkled throughout the room. The accessories that you use don’t have to be large either. When viewed as a whole, tucking in small pops of white here and there sends a clear light and airy signal to your brain. While I usually only use white as an accent in a space, sometimes I just want to pull out all the stops and go whole hog. But, here’s the kicker – all white spaces can feel and look stark and cold and that’s not my style at all. I much prefer spaces that are filled with warmth and a bit of coziness. At the end of another gray winter, I was ready to brighten up my breakfast room for spring. To put these shelves together for the season , I pulled every one of the white home accessories that I have from my stash and then proceeded to raid my kitchen cabinets for white plates too. Even though all of the accessories in this room are white, the fact that they are mixed with wood adds the warmth that I crave in my rooms. The bottom line is that if you’re at a loss, trying to figure out what is missing from your space, consider adding a white accent or 20. White can work in just about any space for any occasion and these accents can be found just about anywhere. 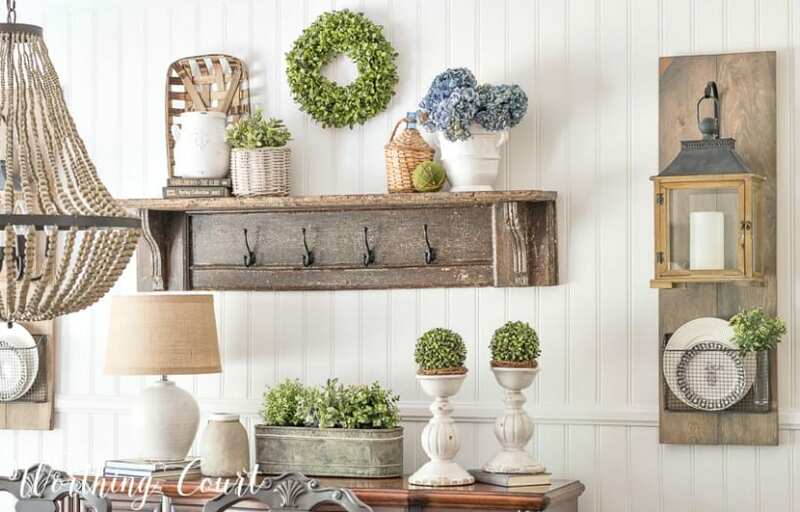 Whether an ornate container or a small bud vase, white decorative accessories are often overlooked, but are some of the most flexible and functional pieces you’ll ever buy. Love white accesories!! They mix well with just about everything and every holiday! I feel the same way about black! I love using white (& black) accessories around my home. Yes! Your explanation of why white is important is spot on! In fact after reading blogs for so long and noticing white so much, i started to collect vases, pitchers and other decor in pure white. I also painted most rooms white and the cleanliness and airy-ness of my home increased exponentially! My house is just under 1500 sf. With a husband and young kids, the house felt cluttered with too much decor or too much going on. I’m constantly editing (which isn’t as fun). The trick of using white allows a bit more / bigger decor at times because it seems lighter. Great post!! Love your home. I always look forward to reading your posts, partly for the info but also because you have a very warm and encouraging style to your writing. Thank you for the helpful tips!